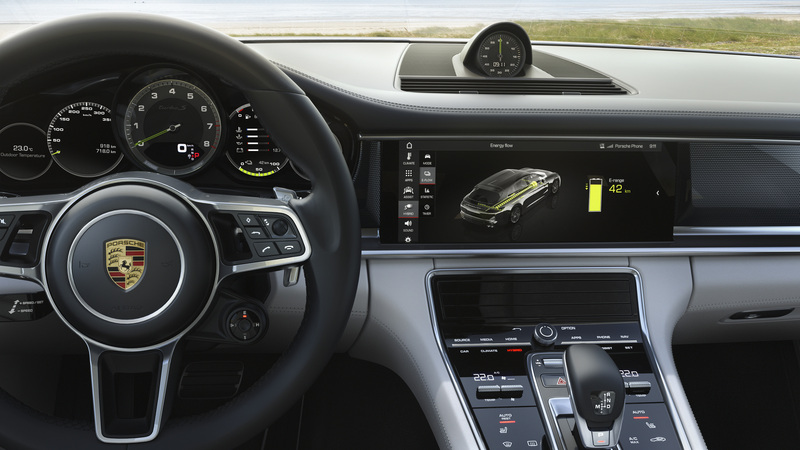 Porsche has launched the quickest Panamera Sport Turismo yet produced in the Turbo S E-Hybrid. 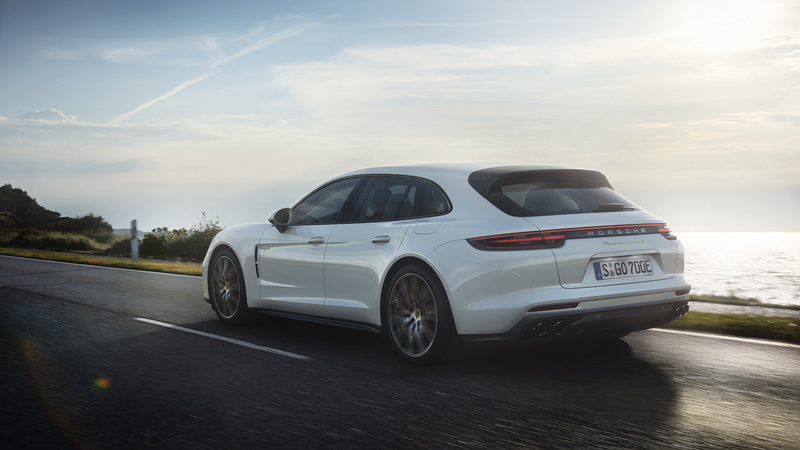 Like the regular Panamera, the range-topping Sport Turismo mates a turbocharged 4.0-litre V8 engine that produces 542bhp to a 134bhp electric motor. Combined, the system outputs a maximum of 671bhp and 627lb ft and enables the all-wheel drive estate to hit 62mph in 3.4sec – 1.4sec quicker than the regular E-Hybrid model. The car, which produces its maximum torque from just 1400rpm, can also hit 124mph in 11.9sec, which is just one second slower than the 911 GT3 RS can manage. Top speed is 192mph. The all-wheel drive Turbo S E-Hybrid uses an eight-speed automatic gearbox and offers a claimed 97mpg according to the NEDC test. It uses a 14.1kWh lithium-ion battery that can be recharged in 2.4 to 6 hours, depending on the power outlet it’s connected to. It can run in full EV mode for up to 31 miles with a top speed of 87mph. The fitment of the battery into the car’s floor has removed 95 litres of storage space from the boot, but the figure still stands at 425 litres. The rear bench holds space for two adults and a child, and can be folded electronically in a 40:20:40 split. As standard, the Sport Turismo Turbo S E-Hybrid gets 21in alloy wheels, Porsche Dynamic Chassis Control and torque vectoring technology. There’s also a rear limited slip differential and ceramic composite brakes, as well as adaptive three-chamber air suspension with Porsche’s Active Suspension Management system. The car is on sale now, priced from £140,868, making it the new range-topping variant of Porsche’s Audi RS6 Performance and Mercedes-AMG CLS 63 Shooting Brake rival.